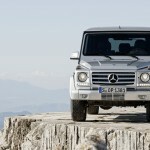 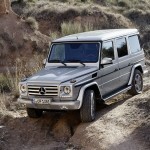 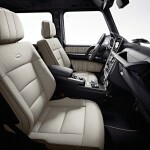 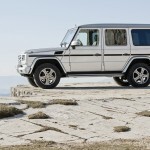 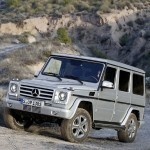 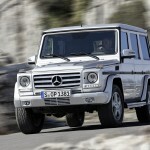 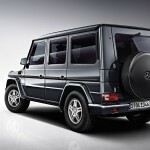 Mercedes-Benz has revealed the latest incarnation of its tough off-roader, the G-Class. 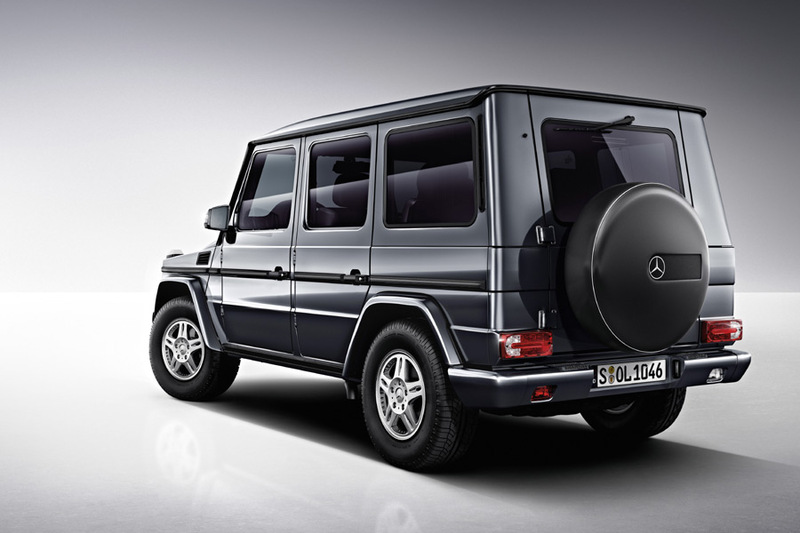 Steadily evolving over the last 33 years, this freshened-up SUV receives LED daytime running lights and restyled mirrors, while the AMG versions can be identified by their AMG radiator grille with double louvres, new bumpers with large air intakes. 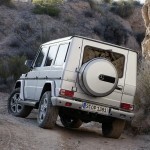 Red brake calipers and 20-inch alloy wheels can also be specified. 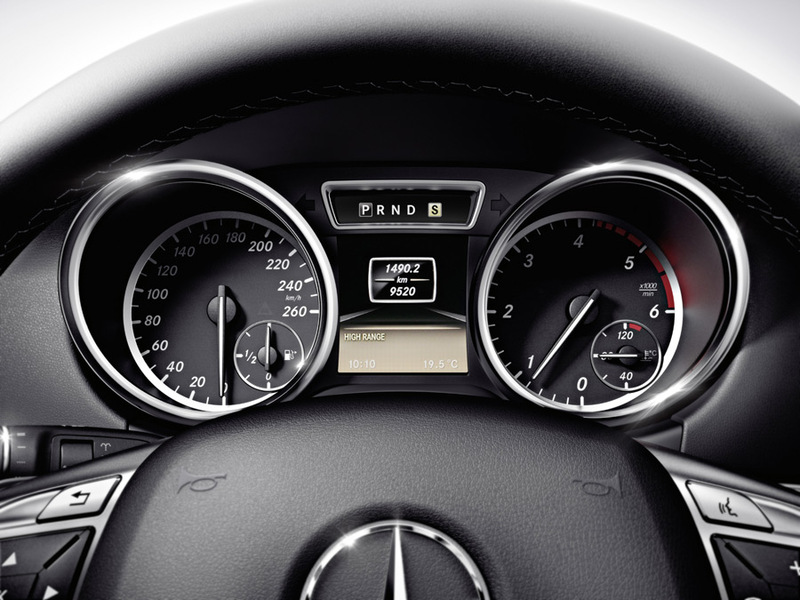 Moving inside, there’s a completely redesigned centre console and instrument panel with a TFT colour display nestled between the speedometer and rev counter. 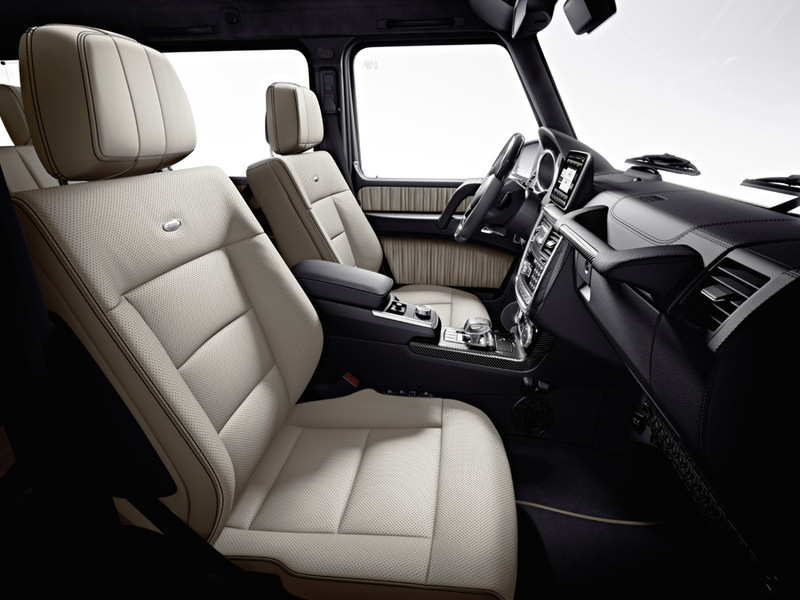 Another standard feature is the centrally-mounted large colour screen for the DVD and COMAND Online systems, which also incorporates the satellite navigation – all voice-operated via the LINGUATRONIC feature. 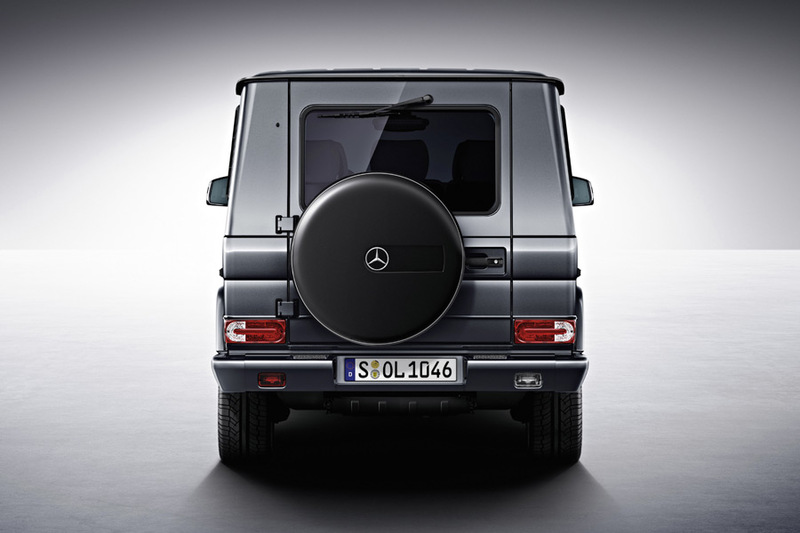 Optional equipment includes DISTRONIC PLUS, Blind Spot Assist and PARKTRONIC with reversing camera. 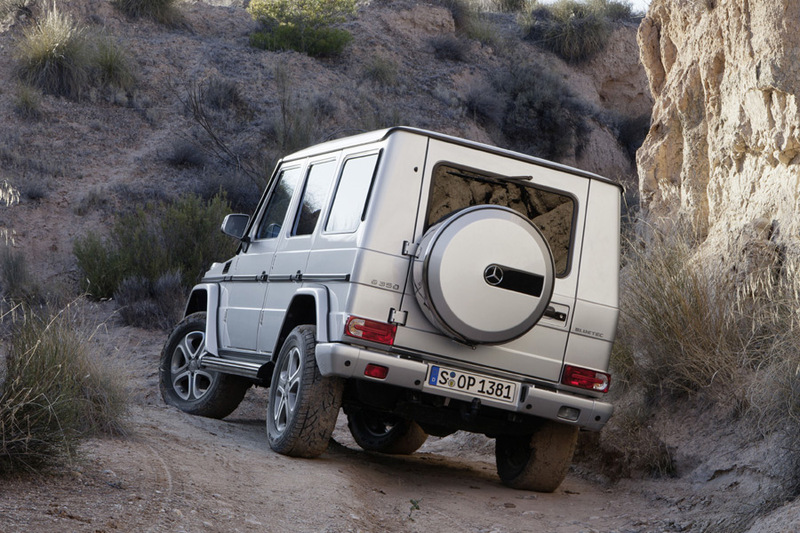 The ESP system has been updated to include Trailer Stability Assist and a HOLD function, while the interior can be treated to materials and trim from the exclusive designo range. 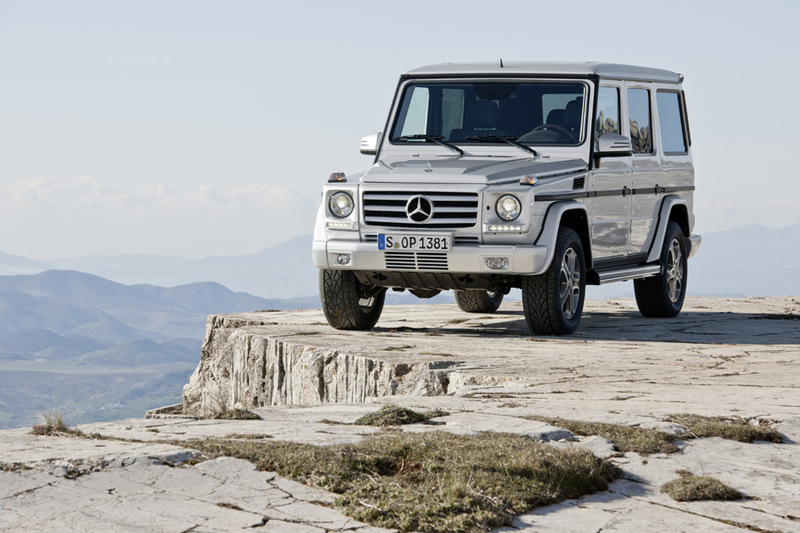 Engine choices begin with the diesel-powered G 350 BlueTEC, which uses a 3.0-litre V6 that develops 155 kW (211 hp) and 540 Nm of torque. 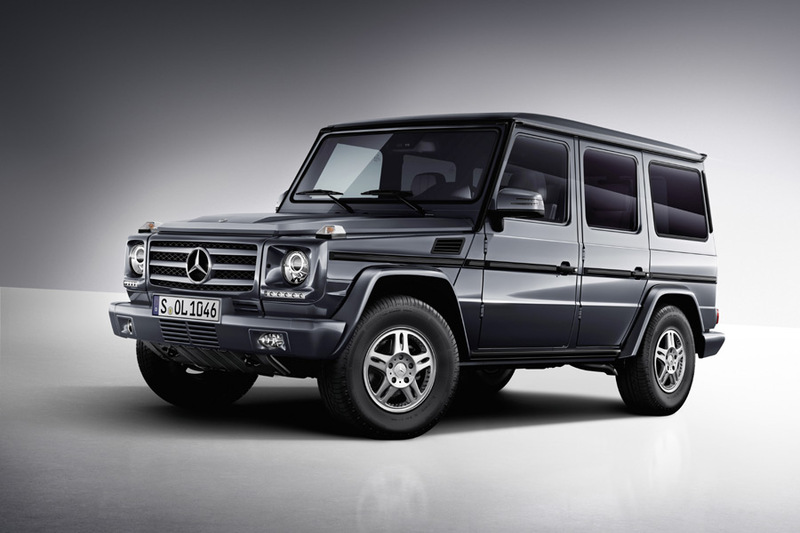 Next is the G 500, which is also available in short-wheelbase Cabriolet form and uses a 5.5-litre petrol V8 that produces 285 kW (388 hp) and 530 Nm. 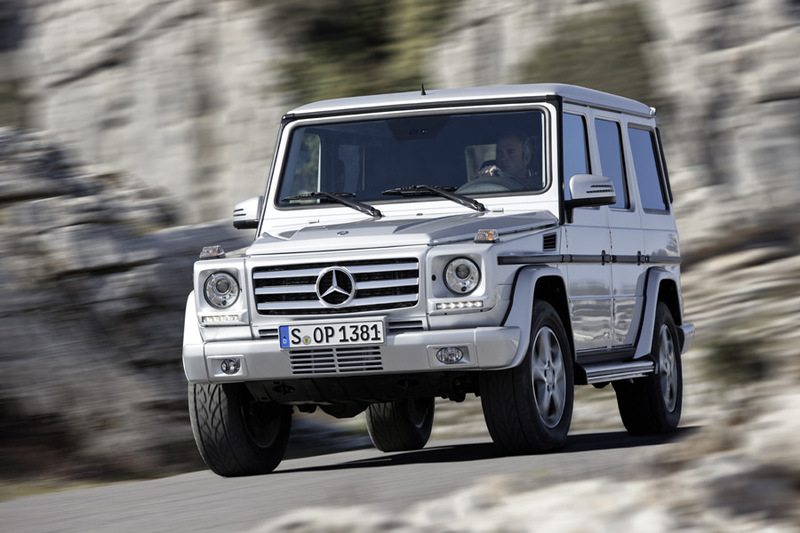 Both the G 350 and the G 500 use a seven-speed automatic transmission. 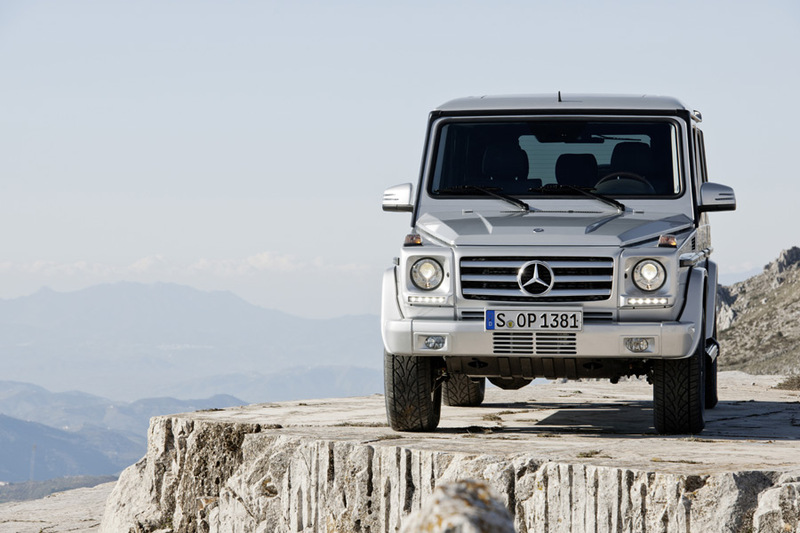 Moving up the food chain is the G 63 AMG. 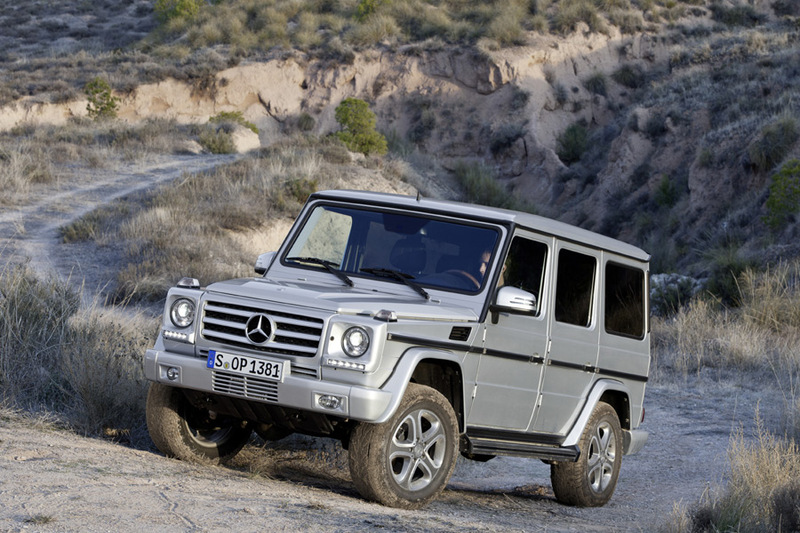 Making use of a 5.5-litre V8 biturbo engine that develops 400 kW (544 hp) and 760 Nm of torque, the inclusion of an ECO start/stop system as standard is always welcome. 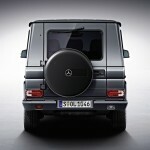 Finally, we arrive at the Herculean G 65 AMG. 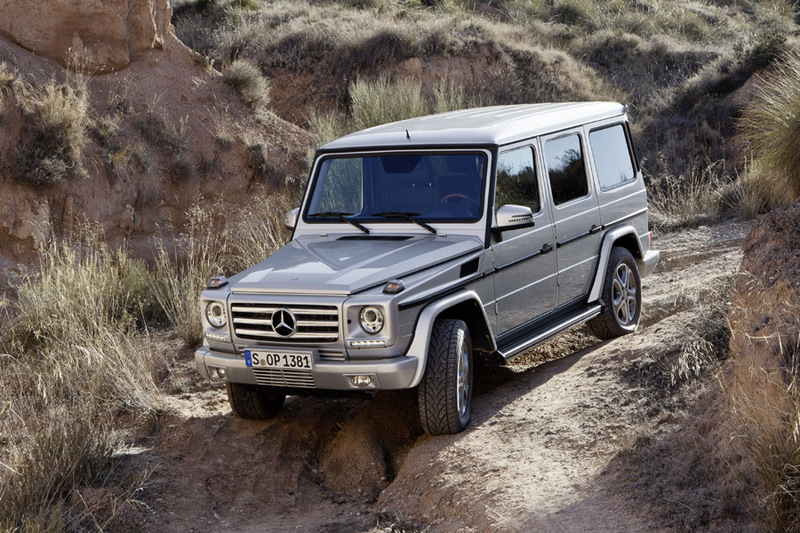 Propelled by a 6-litre V12 biturbo engine, it develops a colossal 450 kW (612 hp) and 1000 Nm of torque, making it the world’s most powerful series-produced cross-country vehicle. 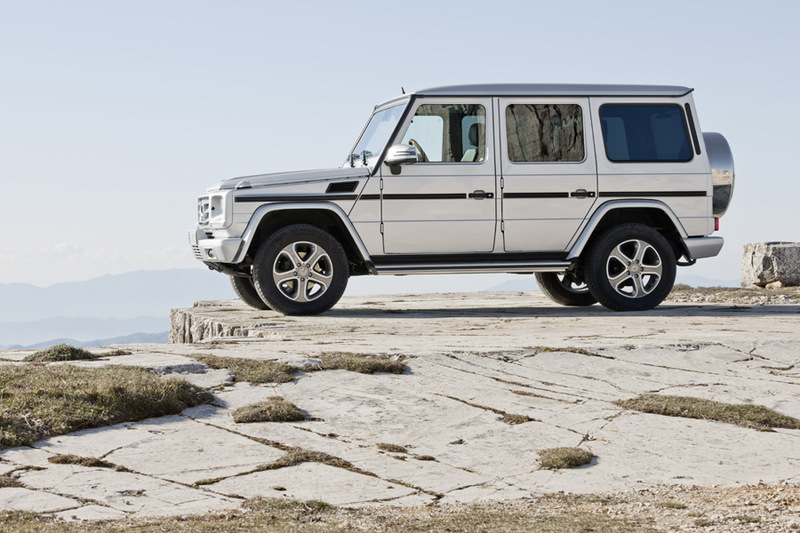 Due to go on sale this June, prices in Germany start at € 85,311 for the G 350 BlueTEC, with the G 65 AMG weighing in at a much scarier € 264,180.